Parallels is honored that CRN®, a brand of The Channel Company, has named Simonetta Mercieca, Director of Sales for Parallels Remote Application Server (RAS), to its prestigious 2017 Women of the Channel list. Last year, Maria Dinallo, Parallels Senior Director of Channel Sales, was also named by CRN as one of the 2016 Women of the Channel. The executives who comprise this annual list span the IT channel, representing vendors, distributors, solution providers and other organizations that figure prominently in the channel ecosystem. Each is recognized for her outstanding leadership, vision and unique role in driving channel growth and innovation. CRN editors select the Women of the Channel honorees based on their professional accomplishments, demonstrated expertise and ongoing dedication to the IT channel. Mercieca, who was born and is based in Malta, has been director of EMEA sales at Parallels for the past four years. 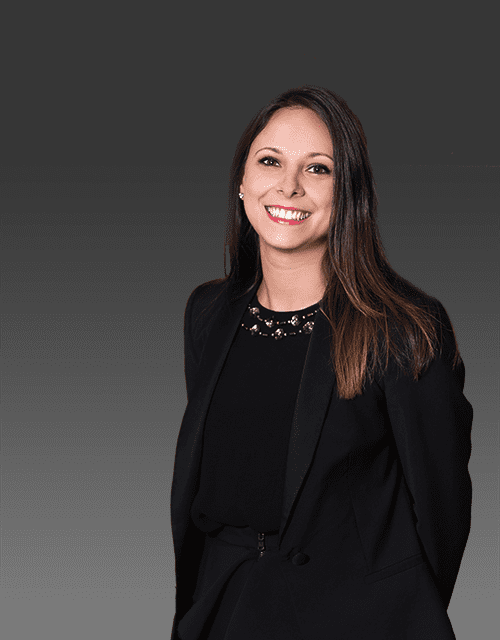 Before joining Parallels, Simonetta graduated from the Chartered Institute of Marketing and already had over a decade’s experience in the channel by working her way up through GFI Software’s sales department. In her current role, Mercieca supervises and directs the sales efforts for Parallels, especially with regard to Parallels RAS. Her efforts and leadership have led to Parallels RAS becoming one of the company’s leading solutions. She has also been instrumental in launching the new and free Parallels Partner Program which provides several levels of benefits and resources to all registered partners, including access to training and marketing materials and dedicated partner email sales support. CRN: How have you personally helped advance your company’s channel business over the past year? Mercieca: Following our transition from 2X to Parallels in 2015, 2016 was the first year we could move our application and desktop virtualization solution, Parallels RAS, into the market with full force. To best do this, I spent the past year helping out as best I could with the channel, strategizing with my colleagues to find leads and then turning them into sales. After some research and client liaising, I found that the best way to further our growth was to increase the benefits to our partners. As a result, we started formulating a new partner program that made it more advantageous for people to join us. This was my main project for the year, and by its end, my colleagues and I launched a program that greatly increased the number of partners interested in Parallels RAS. We accomplished this by offering them higher margins, more direction, and more resources to communicate with their clients. Now, with this program in place, we have managed to drive Parallels RAS sales higher than ever. We have been especially effective in the EMEA region, which is where I focused our team’s efforts. CRN: What are your goals for your company’s channel business over the next year? awareness of our solutions, marrying Parallels RAS to popular solutions as we did with Microsoft Azure, and dispersing more information to our channel to keep empowering them through their offerings for the private, hybrid, and public cloud. CRN: What advice would you give to young women who want to begin careers in technology? Mercieca: Be prepared for the challenge, but don’t be afraid. It is becoming easier for women to do more, even in this male-dominated industry. I firmly believe that we women offer unique qualities for building relationships, and in a business built on relationships, that gives us a tremendous advantage. So, take heart in the women who have succeeded before you, and be ready for a challenge, but also be very confident in yourselves and in the changing times. CRN: If you could be any movie character for one day in real life, who would you be and why? Mercieca: I’m a big fan of Erin Brockovich from the movie of the same name. I’ve always really admired her as a person and am very grateful to be living in a world she has changed. As a bit of an environmentalist myself, and someone who wants to enjoy nature in as clean a state as possible, I am so grateful for her work. As a woman, seeing her overcome adversity while maintaining her independence and mastering such a challenging job, I can’t help but feel inspired by her. This drives me to do more. Read the full CRN interview with Mercieca online here.